Let’s be honest; a long drive can be very dull to the point that it becomes hard to stay concentrated on the road ahead. It's worse if you’ve made the journey before, so you see the same repetitive landmarks and scenery along the way. Inevitably you may begin to feel tired which can make driving extremely dangerous, but there are several precautions you can take both before and during driving to make your drive smoother and safer. Signs that you’re starting to feel tired and drowsy? 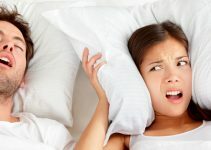 If you’re repeatedly yawning, then this is a critical sign that your body is becoming tired and is a trigger to feeling like you want to sleep. The need to rub your eyes can also accompany this. If you have trouble remembering the previous few miles of travelling, then you may be starting to feel tired. Another symptom is if you begin to make directional mistakes such as missing exits or misreading signs. Feeling restless may not only mean that you’re beginning to feel tired but that you need some fresh air. This is often the case is you’ve been stuck in your vehicle for several hours. A common sign that you’re daydreaming is if you find your mind wandering away from focussing on the road. It means that your concentration is slipping which can lead to an accident happening. This can result in many different things including your vehicle drifting across or even entirely out of the lane, tailgating a car ahead or hitting the strip on the hard shoulder. So what can you do to manage your sleep and stay away while driving? Napping for short periods can rejuvenate your mind and leave you feeling refreshed. This will make it easier to concentrate on the road, and your nap only needs to last 15 to 20 minutes in length to make a real difference. Our body has a natural body clock called the circadian rhythm which is the reason why you naturally begin to feel tired at night. Try to avoid driving between midnight and 5 am as this is when you will begin to feel drowsy and find it harder to concentrate. If you have a long drive, you should aim to begin your journey in the morning a couple of hours after you first wake so you’ve got a full day of light. 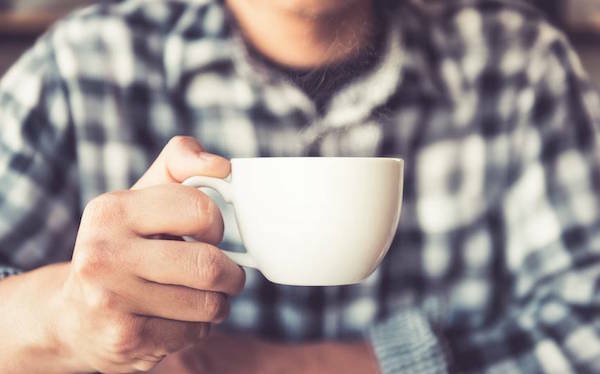 Caffeine is a useful product that can be used to keep you alert and energised but be sure not to go overboard because the effects will begin to wear off after a few hours and you may start to crash. This is especially the case if you have a long journey ahead of you. Caffeine can also cause dehydration which is another cause of tiredness. Taking frequent breaks allows you to take a walk and stretch your legs while also getting some fresh air and a bite to eat. It will give you time to take your mind off concentrating on the road, and you’ll notice when you get back into your vehicle you’ll feel refreshed and ready to attack the next leg of your energy. Before you set off on your journey, it’s advised that you have a healthy balanced pre-trip meal. It may be tempting to get a fast food meal, but the unbalanced nature of this type of food means it has an abundance of fat, sugar and carbohydrates which will contribute to tiredness. Ever notice that when you have a convenient, fast food meal, you can feel hungry just a few hours later? A balanced meal will give you long-lasting energy and keep you going for longer. Although you may have already eaten before you begin your journey, you should pack some snacks to take with you that you can grab and chew while you drive. This will give you a boost of energy and keep your concentration high. Try to avoid sugary snacks as this will give you a quick boost of energy, but you may suffer a mental crash. A bag of almonds will be much more effective than a bag of Haribo; however tempting the latter may be. You should regularly open your windows and let some fresh air get into your vehicle. If your car is warm, then this is more effective because it gives your body much needed energy and increase your concentration. You should open your window at regular intervals because you’ll often get so used to the warm environment that you won’t realise that you need fresh air until you do it and notice the difference. Music has a significant impact on your mood so it’s recommended that you put on your favourite playlist because lively music can improve your concentration and put you in a better mood. A warm stuffy car can naturally make you feel more tired, so ensure that the heat is not on too high and you maintain a comfortable environment. If the car is too warm and you’re tired you may feel you begin to blink at a slower rate and eyes start to close while your head may also begin to drop slowly. Hydration levels have been directly linked to sleep quality and tiredness so ensure that you stay hydrated. One downside is that you may need to pull into a service station more frequently to use the toiler, but this means that you will also be forced into having regular breaks which will help to fight off drowsiness. The safest and most efficient way to drive a long distance is to partner up with another person where you can rotate the driver every couple hours. This means that the non-driver has time to rest and recuperate before getting behind the wheel again, they can even take a nap in those couple of hours. So those are our best tips for avoiding tiredness when driving. Unfortunately, if you’re tired, there is no solution as useful as just bedding down and getting some sleep, but these tips will help you remain more alert when you’re on the road.